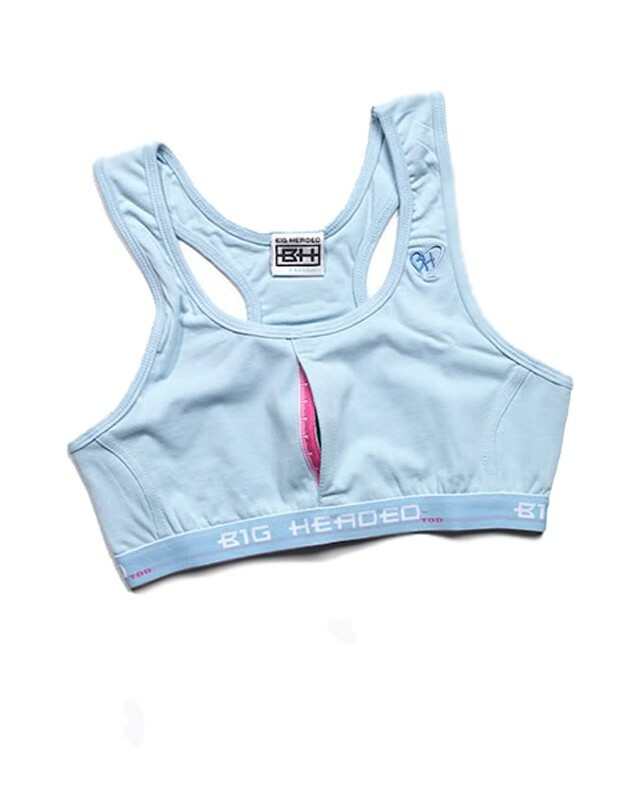 Patent pending Peek a Boo Sports Bra, made of 97% cotton and 3% spandex, this racer back sports bra has a racy front peek a boo slit with pink jacquard tape measure inside. The BH2 heart embroidery appears on the front left strap while the Big Headed Too elastic band provides underneath support. "Peek a boo in Big Headed Too."